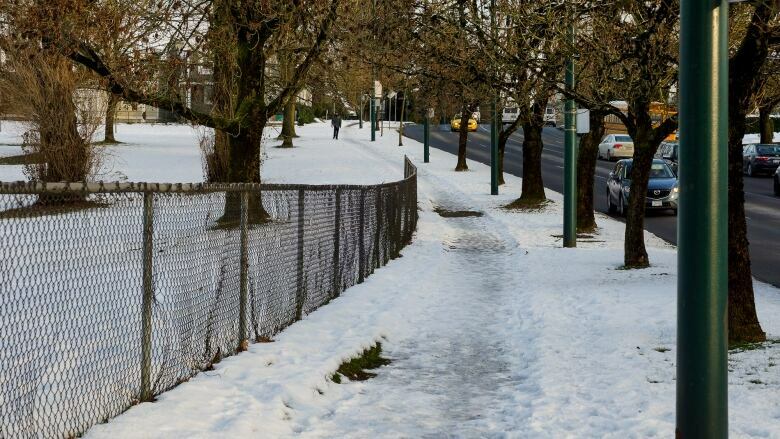 Slip and fall lawsuits relating to uncleared snow and ice are popping up in B.C. courts, including some against the City of Vancouver. Last winter's cold snap was fraught with stories about frustrated commuters stuck on buses, delayed garbage and recycling pickups and paramedics overloaded with calls about falls on icy sidewalks. 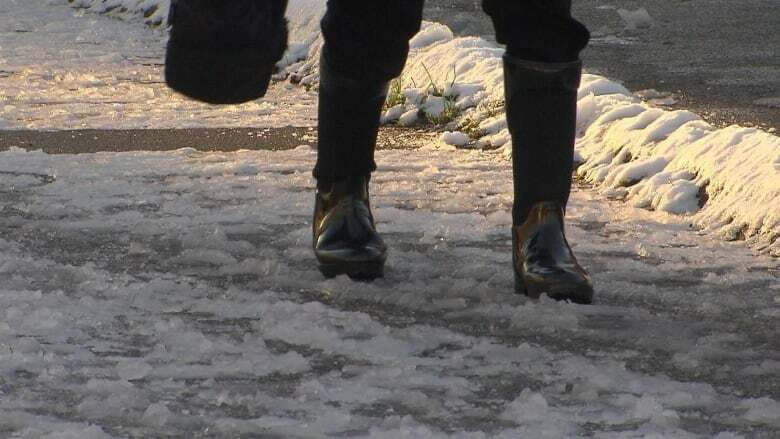 Now, slip and fall lawsuits relating to uncleared snow and ice are popping up in B.C. courts, including some against the City of Vancouver. CBC News is aware of at least three lawsuits that allege the city was in one way or another responsible for injuries related to uncleared snow and ice. In one case, Whistler resident Kerrie Louise Manley alleges she fractured her ankle and sustained other injuries after slipping on Dec. 19, 2016, near the intersection of Hamilton Street and Dunsmuir streets in downtown Vancouver. "The condition included sidewalks and roadways being covered in ice and snow and snow banks obstructing the path of pedestrians at crosswalks," alleges the lawsuit filed in B.C. Supreme Court in June. The city's defence is that it did as much as it could, given the conditions and its resources at the time. In its response to the civil claim, the city also alleges that if Manley was injured, it's because she wasn't wearing proper shoes or corrective lenses — arguments that a personal injury lawyer who spoke with CBC described as boilerplate defences. Vancouver personal injury lawyer Joe Murphy, who isn't involved in the case, said he isn't surprised to see these lawsuits come up and expects even more will surface over the next year or so given how terrible last winter was. To succeed in a claim, Murphy said the plaintiff needs to prove that the other party was negligent and their actions were unreasonable. That's more difficult to do when the defendant is the city, rather than an owner of private property, he said. "To succeed against the city you've got to show that the city acted unreasonably in clearing the intersections and sidewalks," he said. "I believe that would be a challenge given the horrible storm Vancouver had in December 2016, and how it overwhelmed the city." None of the allegations in the lawsuits have been proven in court. Murphy said that generally, it's easier to measure a private owner's responsibility. "We're not talking about a city that has thousands of kilometres of roads that they have to worry about. We're dealing with a strata that has very limited and obvious walkways that they're responsible for," he said. The city spent $13.7 million responding to snow events last winter. Its regular budget was just $780,000. Earlier this month, it announced it will increase its budget to $1.62 million and add 10 new four-wheel drive trucks for the upcoming winter. Snow and ice: Whose job is it to clear the sidewalks?